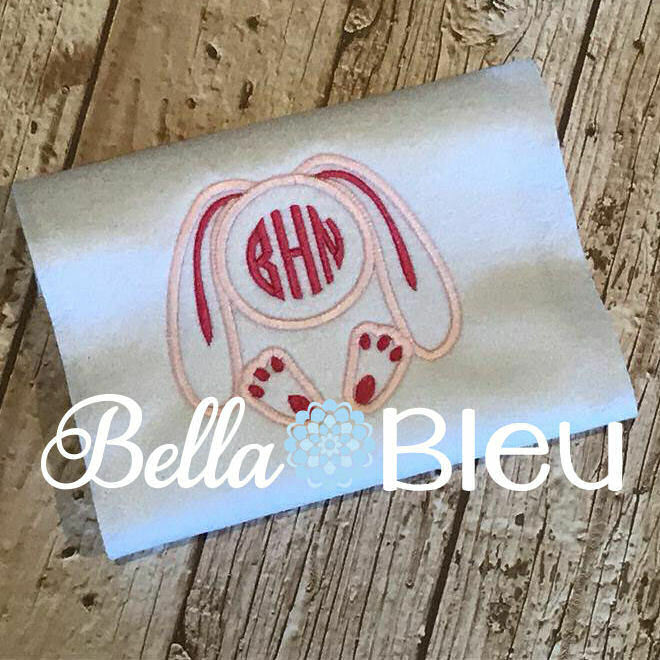 Applique Bunny Monogram Frame - 3 Sizes! A great frame for monograms. Alphabet is not included. Birthday Bunny Applique - 4 Sizes! Bunny Carrot Applique - 3 Sizes! In The Hoop Bunny - 5 Sizes! Bunny Ears Applique - 3 Sizes! Finish Size 4.92" x 4.37"
Finish Size 5.87" x 5.20"
Finish Size 7.80" x 6.97"